Welcome to our Essential Rewards Class, friends! This class will be where we break down exactly how to save money with Young Living! Now, let's start by getting to know each other. The BEST thing about Young Living is that it’s so much more than oils. We are ALL on a journey to take charge of our health, whether we know it or not. Some of us are just getting started and trying to figure out where to go next, and some of us have been working on our health + wellness for a while. Wherever you fall on this scale, Young Living has everything you need! YL is all about wellness, purpose, and abundance in every single area of your life. And on this team, we’re about inspiring as many people as possible to begin THEIR own health journey as well. Our bodies were created to function above the wellness line, and YL gives us the tools we need to help our bodies do just that. But, it's up to us to use those tools available. For so many of us, myself included, getting started with the Premium Starter Kit was a HUGE step. But the kit is just the beginning! There is so much more to YL than oils. 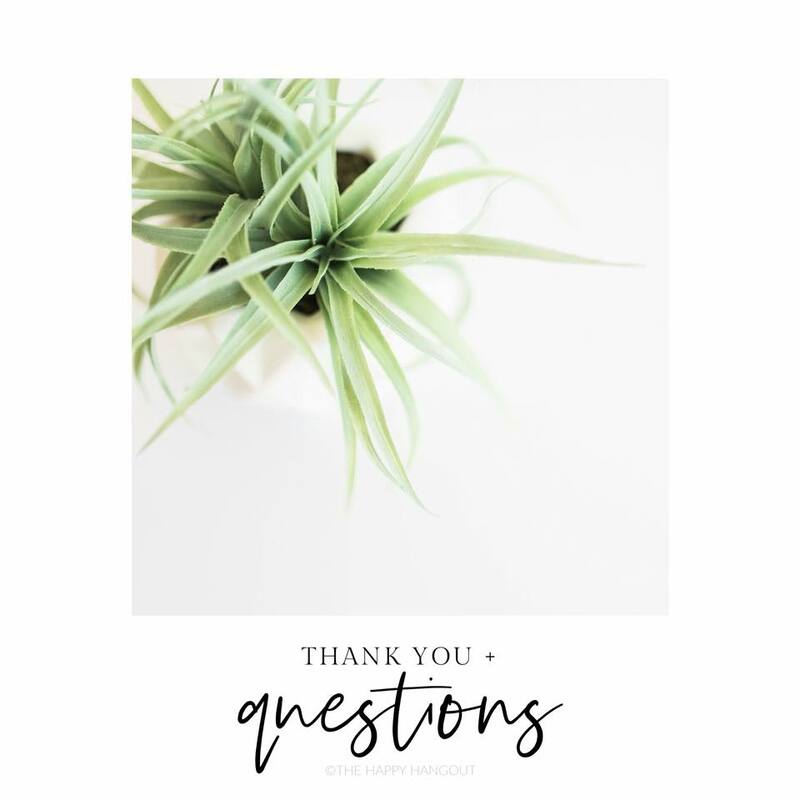 Once I grabbed my kit and started looking around Virtual Office and the product catalog, I realized how many incredible tools Young Living has, and how much of what I buy already (toothpaste, laundry soap, makeup, cleaning products, vitamins, etc.) I could just STOP buying from Target and start buying from Young Living instead! It cost us a little more upfront to do this as a family, but the benefit of getting products that we know aren’t filled with junk was worth it to me! If you’re a friend here who has joined Essential Rewards already, what is something else that you’ve ditched and switched thanks to Essential Rewards that isn’t on this list!? Okay, first things first. What in the world IS Essential Rewards any way? Essential Rewards is a monthly wellness subscription box! Each month, you customize your shipment of wellness goodies according to what YOU want and need. It’s even better than those other monthly subscription boxes because it is customizable!! That’s one of the main reasons why we’re so obsessed with the program. It is meant to be exactly what YOU want. --> The program is flexible as to which day your order processes. You have to process one order a month, but you can wait until payday, or have it go first day of the month. In fact, you can change your order up to 11:59PM on the day that it processes! --> You only buy what you want or need. One month, you can stock up on staples like Lavender, Lemon and Thieves Cleaner, and the next, you can grab things you've never tried before. --> You only have to spend 50 PV (basically $50) minimum each month. That's a bottle of Lavender, a bottle of Thieves Cleaner, and a lip balm. Easy peasy! Let’s break that down next (the money-back part! ), but for now, tell us why you love ER or what your cart includes this month! Now you might be wondering, “I saw you said this program will save me money….how? !” Let me break it down! First things first, you receive a percentage of points back on purchases you make on your Essential Rewards program. Yep. When you’re on ER, and you place your order through ER, you’ll get points BACK on that purchase. After you have been on ER for three months, you can redeem those points for free goodies! On months 1-3, you’ll receive 10% back in points. So, if you spend 100PV, you get 10% back. That's 10 dollars that can be redeemed via Quick Order on a product you want to try! Amazing, right?! Well, what if I told you that on months 4-24 you’ll receive 20% back in points (DOLLARS!) and months 25+ you’ll receive 25% back in points (DOLLARS)?! Are you doing the math? That means if you place a 100PV ($100) order in months 4-24 on ER, you get back 20 points ($20) back. Months 25+ = 25 points ($25) back! THE BEST! There are some other ways you can save money/get free goodies on this program, so let’s keep on breaking them down in the next post. But for now, tell us what you got last with your points or what you're saving up for next! Another reason to join ER is because YL is going to send you loyalty gifts at 3, 6, 9 and 12 months! 3 mo's - 5ml bottle of Peppermint Vitality oil! 6 mo's - 5ml bottle of Thieves Vitality! 9 mo's - 15ml Tea Tree!! And at 12 months, you’ll get an exclusive 5ml Loyalty Blend specially formulated by Gary Young! Every year after that, you'll receive a new loyalty blend created just for ER members! Now, who has received a Loyalty Gift so far? Did you get the year anniversary gift? What was your favorite? Also, see link below for an awesome video in which Gary Young talks about the care that went into crafting the first year's special loyalty blend! The next reason to be on Essential Rewards is that when you’re on ER, you have access to EXCLUSIVE kits that are only available on ER, and those kits give you extra savings. ER members have the ability to order three specialty ER kits as additional options OR create a custom order each month ala carte but the ER exclusive kits rock too! The first two specialty ER kits: Thieves and NingXia Red, which are 15%-25% OFF!! We drink our Ningxia EVERY.SINGLE.DAY. So this is the best way to order it. We’ve also switched out all of our cleaning and household products with Thieves, so you know I stock up on the Thieves ER kit every couple months too! All for $187! Ordering these products through Quick Order would be $217.75. Plus you’re going to make at least 10% back in points on that order AND be eligible for the monthly freebies YL offers that we’ll break down in this class too! You can get that whole kit for $118.50 vs. ordering everything via Quick Order and paying $156.50. That’s a savings of 25%, y'all! Plus you’re going to make at least 10% back in points on that order (then 20%, then 25%!) AND be eligible for the monthly freebies YL offers that we’ll break down soon too! You also get access to buy the Everyday Oils ER kit too! It’s a little cheaper and comes with roller fitments! So which ER specialty kit will you try first or will you customize your own order each month?! Every. Single. Month. Young Living offers us different promotions and they are always AMAZING! They sometimes have a theme or correspond to the season, but they ALWAYS add extra value to our order. Some promos are exclusive to just Essential Rewards, some are open to everyone. Being on Essential Rewards allows you to max out your freebies AND your savings. Essential Rewards opens up an exclusive promo tier at 100PV. That means when you place a qualifying order of 100PV, you'll get something for free! As you move up the tiers, you'll get Essential Rewards exclusive items + more free goodies! You can always find the monthly promotions under "member resources" in your Virtual Office or search for "promos" in Orange Blossoms or see below in comments for this month's freebies! Who's getting them? All or some? 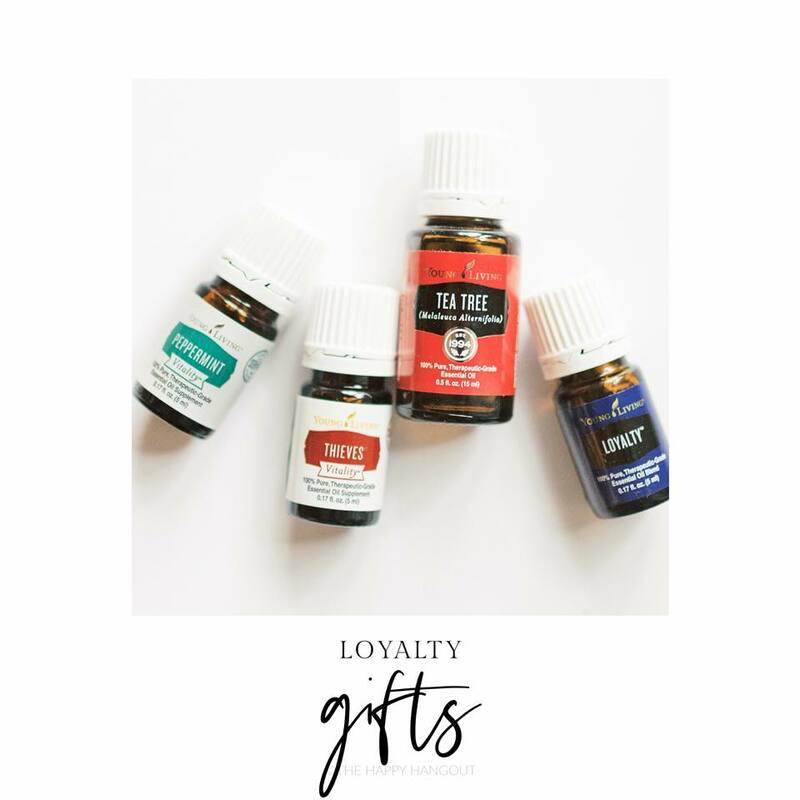 But, before you click on that link, did you know that Young Living ALSO offers an incredible Amazon Prime-like shipping program that is exclusive to friends on Essential Rewards in the US?! It’s called YL GO and it’s changed our lives already! FAST SHIPPING - 24-hour order processing, then 2-4 DAY SHIPPING!! FREE SHIPPING - Snag your subscription and you're rocking FREE SHIPPING for a year! HELLO!!!! Grab some extra product, redeem those ER points and ship the whole blessed order FOR FREE... or drop ship a gift to a friend, or use this when a sale pops up! Remember, this is only for those members enrolled in Essential Rewards! Head to www.youngliving.com/ylgo. If you're not yet on ER, signup for that first, and YL Go options will be offered in the signup process! Who's on YL GO? Are you seeing the savings? Jon and I are both on it and we are saving a ton! All you have to do to enroll in ER is to log into your virtual office and click on “Essential Rewards” on the left-hand side of your screen. From there, the website will walk you through how to enroll. It’s easy and it only takes a couple minutes. If you’re having trouble, you can also call Customer Service at 1-800-375-3515 and they’ll set it up for you or you can hop on the live chat! YOU can pick an order date that works best for you. Maybe you don’t get paid until the 15th of every month, so you want to schedule your date for the 16th. Your date is entirely up to you AND you have the option of changing your date each month, if you want. So in the event that you get a bonus or you see your favorite product is back in stock, and you want to order early, you can totally do that with no penalty. It’s flexible! Then, load up your ER cart with whatever you want that month. Each month, you have until 11:59pm MT on your order processing date to customize your box of wellness goodies! *The low monthly minimum requirement is 50 PV. The majority of the consumable items Young Living offers are valued at the same number of PV points as the dollar amount (10PV = $10), but not all, so pay attention as you’re adding items on to your order! Some non-consumable items like diffusers are valued at lower PV points than dollar amount (Desert Mist Diffuser, for example, is 38.25PV but costs $68.75) but you can still buy them on ER. The point is, pay attention to how many PV points are in your cart not the dollar total amount of your order. You need at least 50 PV. Now remember, this is $50 that you would probably be spending somewhere else like the grocery store, pharmacy or big box stores like Costco, Walmart or Target on things like cleaning products, vitamins, shampoo/conditioner, toothpaste, laundry detergent, and more. You have to buy those things anyway! Why not buy them from Young Living where you KNOW the products are safe and non-toxic and get extra money back to spend on goodies for yourself!? If you jump on ER in the next 48hrs, let us know here, and you're getting a special gift from our team, and trust me, you want it. If you're on ER already, please tell our fence sitters why they should jump in by Saturday or comment here to say I did it, so you get your welcome to ER gift! 190PV: Grab the NingXia Red ER Kit and Lemon Vitality to hit 190PV! 250PV: Build Your Own Savvy Bundle! ...and boom all the foxy, with none of the toxy! And a total makeup makeover! What's on your order this month or what would you suggest for an ER newbie? When you go to check out via Quick Order, there will be an option to redeem your ER points! You can use your points on most products with a PV amount that is equal to the dollar amount (as in 10pv/$10). PV points usually equal the dollar amount, so most products on the site are available for purchase with ER points. There are some exceptions. First, we can't buy with points brand new products that just debuted, even if the PV is the same as the dollar value, but after a period of time (like 6-12 mo's), those new products will also be available for points purchase once they are no longer new and we'll let you know! Here's the easiest way to find which products can be purchased with ER points: While you’re browsing, look for the little blue flag next to the item’s PV. This is to show you what is eligible for point redemption! Rewards points cannot be redeemed through your monthly ER order. You buy your monthly ER with cash or credit then you can redeem the ER points earned on that purchase from there. You will have to place a Quick Order to cash in your points. However, one awesome thing is that you can use points on some items and pay for others! You will need to have enough points to cover a product you’re paying for with points entirely, but then you can add more products to the same cart, and put those (the rest) on a credit card or use PayPal! Any time you place a Quick Order, cash-in some of your points too since you’re already paying shipping unless you enroll in YL Go, our Amazon Prime-type program, to ship ER and Quick Orders for free! If you’re not on Essential Rewards yet, tell us, what do you want to save up points to be able to get? Remember the item must have a little blue flag next to it to be eligible and you must have enough points to redeem on that item. If you’re already on ER, I want to know… how many points do you have saved up right now?! 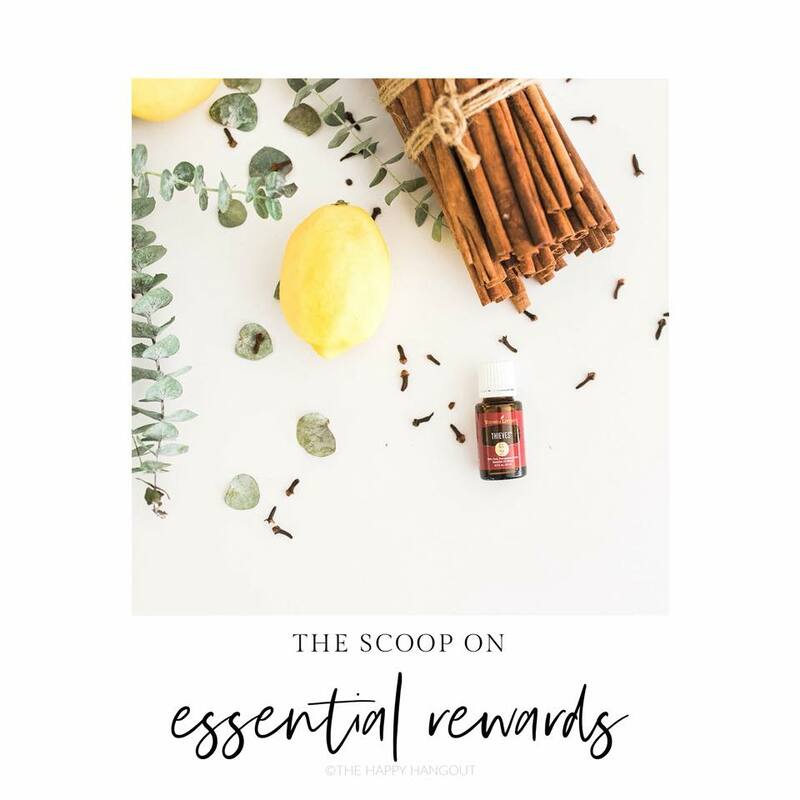 If the idea of getting your oils for free or earning a little extra cash sounds appealing, listen up...Did you know that Young Living has a referral program in place for when your friends sign up for THEIR premium starter kits through your unique link? YEPPPP!!! And you have the chance to make a little over $50.00 when they do! If you're loving your oils, share about them. Tell people WHY you love them, and how they're changing your life. When they ask how they cansign up, send them your unique sign up link!! *Let us know if you want one by including your member # and preferred pic in comments or send me a PM. If no pic is included in the comment and only your member number, I'll use your FB profile pic to set-up your page. Thank you, everyone, for coming!!! See below for giveaway deets!! But first, I hope you all learned so much! We want to celebrate with you as you sign up for ER, so tell us in the comments below once you’ve signed up for your monthly wellness box!